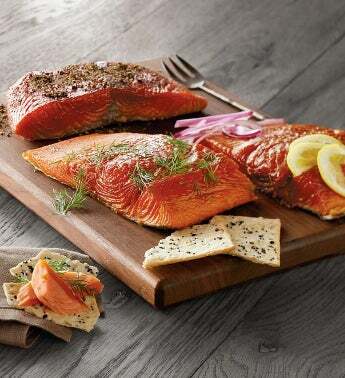 The Wild Alaskan Smoked Salmon Trio allows you and your guests to sample the famous flavor found in wild Alaskan salmon. We use the Northwest style of smoking, imbuing the salmon with a rich, savory flavor that other methods lack. We've included three varieties—black pepper, lemon dill, and classic—so you can explore a range of taste variations.